Want to connect your indoor living space to your garden and enjoy the beautiful views? Would you like to live in a way that suits your lifestyle, making every bit of space work? 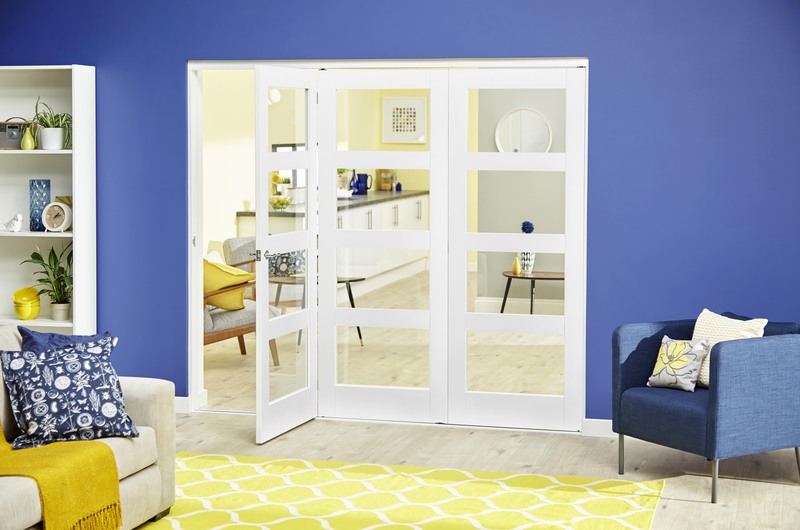 If you would like to transform your space; make your living area feel larger to accommodate a growing family, look no further than CLIMADOOR (www.climadoor.co.uk), the leading folding door specialists. It’s been proven that enhancing the balance of indoor and outdoor lifestyle is becoming a priority of most home-owners. Lighter and brighter rooms go hand in hand with the renowned British weather becoming more continental as years go by, with predicted gentler springs and warmer summers ahead. Thanks to this, mixing the outdoors with the indoors is the new thrilling concept which has acquired major popularity recently. The experts at CLIMADOOR have helped thousands of people add real wow factor to their homes with their expertly crafted doors. However, we all agree self-builds are complex projects, and even small delivery delays or problems with the materials you are working with can seriously derail your project. Precision engineered in Britain, all CLIMADOOR products are available ex stock, and can be delivered within five working days, helping you to keep your project on schedule.